I have been reading a great deal about the “learning loss” that occurs over the summer break? I completely agree with this idea that students suffer great loss over the summer months. However, I am a huge fan of it as well. The learning loss that happens over the summer is the best kind. Students forget not only how to take standardized tests but also how to adhere to a rigid curriculum that dictates what, when, and how they learn. They forget filtered learning and the restrictions of a traditional school day complete with scheduled breaks and feeding times. Yes, students are not learning from the common core over the summer…or at least not in the way we want them to. However, they are still learning a great deal. For example, the other night I was out back with by two sons catching lightning bugs. When we were done my boys had all sorts of questions about how and why those little rear ends lit up. We then spent time doing research online to answer all their questions. Or how about the time when we went to our local zoo and listened to the zoo keeper talk at length about the life and habits of our local Bald Eagle residents? This again prompted follow up and some bird watching via a live web cam. This is spontaneous learning in the purest sense of the word. In addition, what about those “non-essential” skills learned through those summer months? Think about the team work and social skills being taught on baseball diamonds and soccer fields all across the country? What about students learning responsibility and hard work through summer jobs? What about the time to work on physical health through the various sports and outdoor activities? How about all that free time to read books of their choice? What about all the day trips and vacations to different places complete with different cultures and opportunities for learning? How about the occasional television show on PBS kids or History Channel that reinforces a learning concept or exposes a new interest? As a former Boy Scout, I could not imagine never having learned to whittle with a knife, start a fire with flint, learn emergency first aid or shoot a gun. All of which are not allowed in schools. No, I don’t think the learning loss that occurs during summer is a problem. I would rather spend my time worrying about fun, creative, and freedom losses that happen during the school year. How can we infuse the freedom and fun learning that takes place during summer into the school year? How can we ensure that creativity is alive and encouraged in our classrooms? 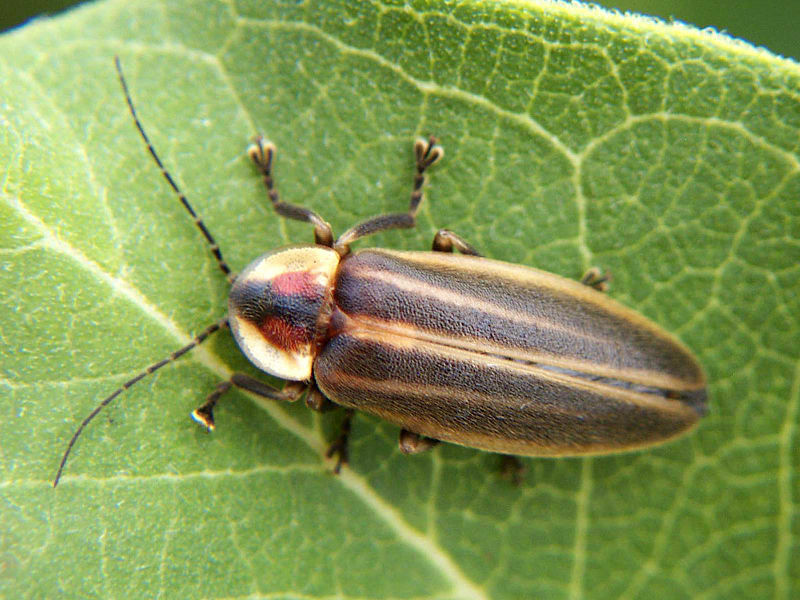 I would rather take time to learn about lightning bugs than prep my kids for the next standardized test. I agree with you that the learning that kids do over the summer holidays is totally essential to their growing up. However,as I work with kids who have some kind of learning difficulty, I get upset with kids (and their parents) who stop reading totally over the school holidays. They are the only ones who experience real "learning loss" and it takes so much wasted time to build up to where they were before the holidays. What a great article. I am sitting here on a cold but sunny Melbourne day watching my teenage boys play chasy in the garden with their cousins. They have created hideouts, game plans and tactics. Most importantly of all they are outside in the fresh air getting physical. Now it is time for me to take a walk along the beach, without the iPad in hand. By far the best blog entry I read this week. Excellent reflection. My sons and I relearn to give each other more time to discuss, expand on, and follow up an idea during the summer months where we have the luxury of hours nearly every day rather than just minutes together. We experience something more like F2F summer blogs as opposed to winter/spring/autumn twitter comments. Bug hunting and identifying together was also a major passion when they were little. Now we winkle out curious sites. These types of learning are essential, but as Teachermum points out, they're not accessible to everyone. Some kids really do stop reading entirely (even kids without learning difficulties, even including gossip magazines and websites). Some kids, especially the "at-risk" kids, don't have parents who are willing/able to help kids follow their passions and momentary curiosities. What bugs me isn't the learning "loss" over the summer, but the ways in which summer makes learning gaps bigger. Ok now here comes the challenge or I like to consider it a disagree. I admit there is more freedom to explore independently in the summer however not all families and students take advantage of that time. It would be wonderful if all parents took the time to answer questions that their children present, I hope that I am one of those parents, but a lot of times that is not the case. A lot of parents do not encourage their children to read and do not read to them. Some students spend their days in front of the T.V. watching shows that in no way improve their knowledge such as "Sponge Bob" or they are playing video games that are teaching them information that are of no benefit such as "Grand Theft Auto". The students who really need the help to retain information are not getting that help over the summer and come to school just to struggle to catch up. I am not saying that summer vacation should be done away with persay however, I believe that the school should open its doors and run programs (not just summer school) and field trips that would encourage learning over the summer. School run summer camps that is what we need.